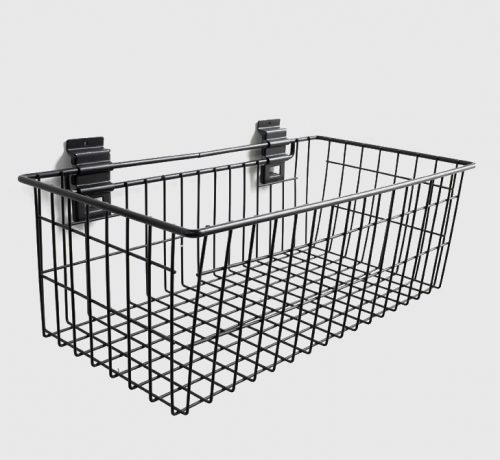 12" x 4"powdercoated metal basket fits our Viper slatwall panels. 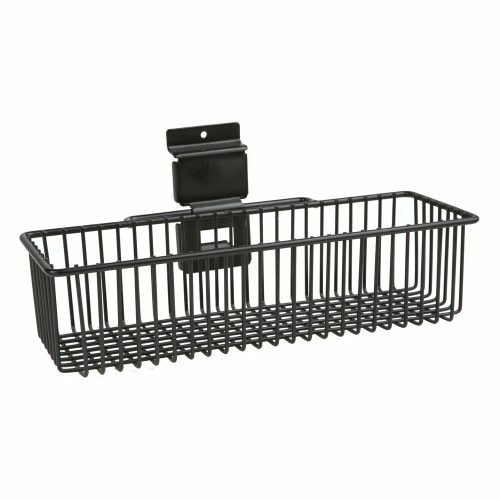 24" x 12" powder coated metal basket fits our Viper slatwall panels. 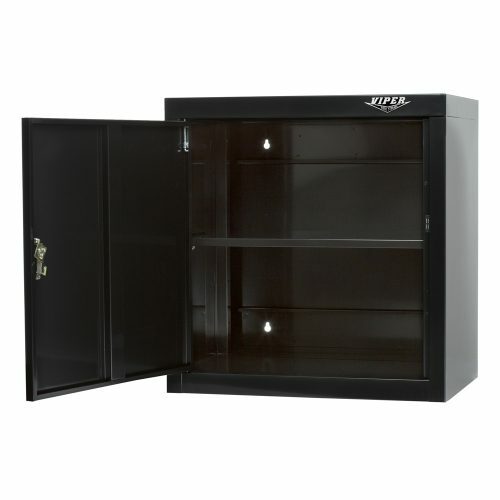 Our versatile 26″ x 26″ garage cabinets create the perfect mobile storage unit. The cabinets are both durable and functional, with a spring-loaded latch for positive opening and closing, heavy-duty 18g steel construction and 300-lb. 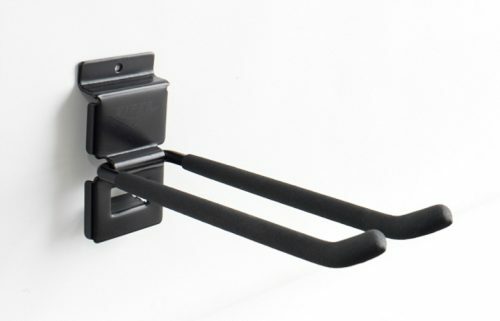 load rating, pre-drills holes and hardware for easy mounting, and an adjustable shelf. 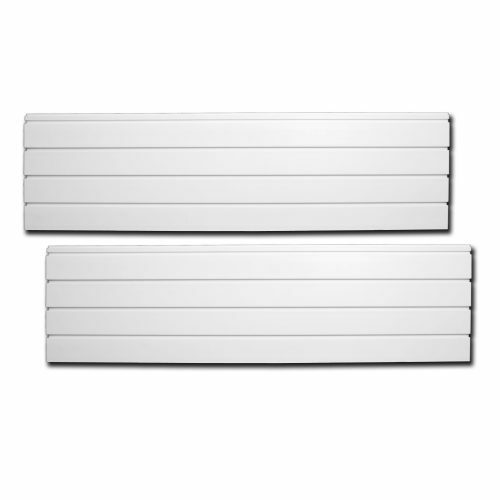 Our unique five-hole pattern allows multiple units to be stacked and bolted together. Our locking casters will provide smooth mobility and secure your unit in place. 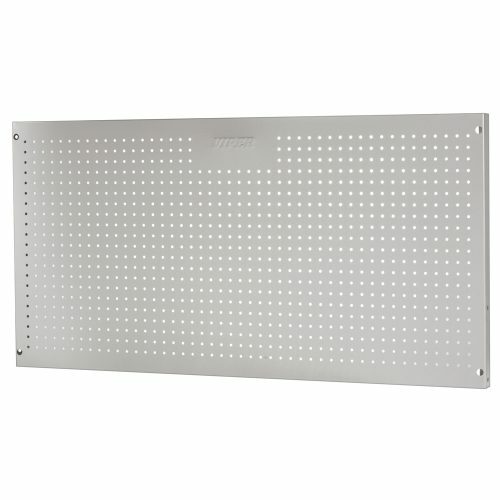 30" X 14" SHOE RACK FITS OUR VIPER SLAT WALL PANELS. POWDERCOATED METAL. 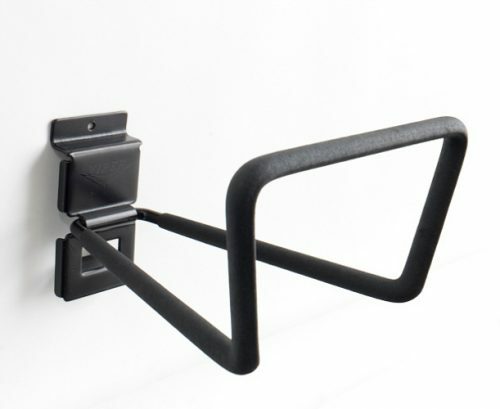 8" DOUBLE HOOK FITS OUR VIPER SLAT WALL PANELS. POWDER COATED METAL WITH NON-SLIP COATING. 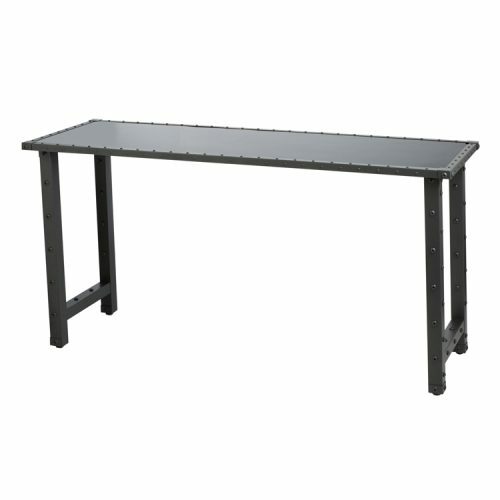 Wood core allows you to mount drawers under the work surface Overall dimensions: 72” wide X 26” deep X 38” high. Weight: 195 lbs. 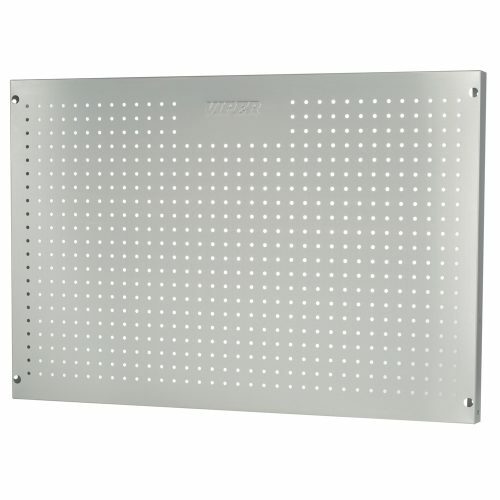 Our Peg Board is built tough from 18G steel. Heavy-duty construction makes it appropriate for a variety of applications from home to professional environments. 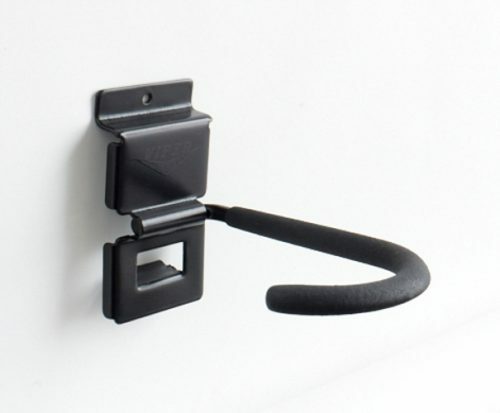 The built-in frame makes it a snap to install and the standard 1 x 1-inch center holes fit most peg designs. 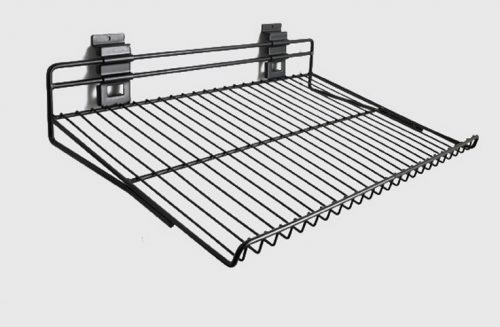 Our stainless steel Peg Board is built tough from 304 stainless steel. 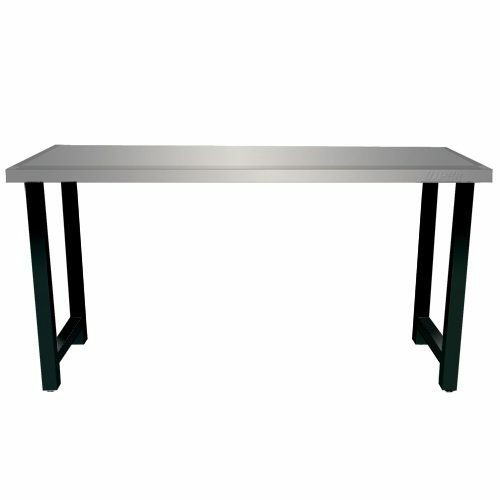 Heavy-duty construction makes it appropriate for a variety of applications from home to professional environments. 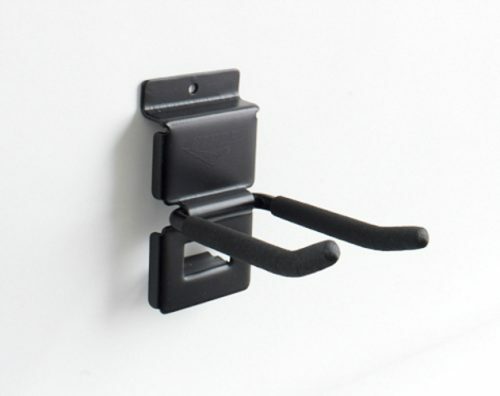 The built-in frame makes it a snap to install and the standard 1 x 1-inch center holes fit most peg designs. Outer dimensions: 26-3/4″ wide x 18″ deep x 28″ high Storage capacity: 13,400 cu. In. Overall dimensions: 72” wide x 26” deep x 38” high. Weight: 195 lbs.